Where tomorrow's SUPERSTARS get noticed first! commented on "Watching the Australian Champs on YouTube last week, with many close races and exceptional performances, I was impressed with the ..."
Franco-Aussie blend flies SO HIGH! Watching the Australian Champs on YouTube last week, with many close races and exceptional performances, I was impressed with the exploits of Sasha Zhoya. 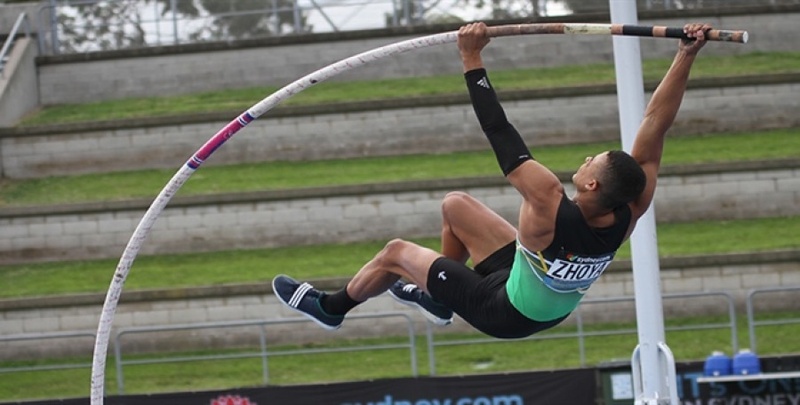 He added 1 cm to the World u18 best in the pole vault - 5.56m, and looked more than capable of flying higher! Not content with that achievement, the 16-year-old (born 25-Jun-02) broke the world best over the 91.4 cm high hurdles, with 13.05 sec and topped his week off with a 200 m victory in 21.18 sec. If I'm away from my home, YOU can always reach me!